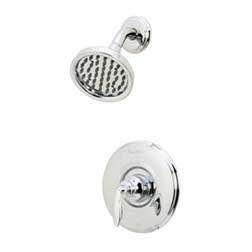 When water constantly drools from the shower head, the problem is caused by the shower valve. 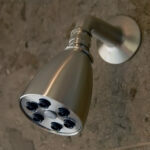 A leaky shower faucet or shower head can be both irritating and expensive. Beyond the annoying drip, drip, drip, a leaky shower faucet (valve) can waste hundreds of gallons of water every week. And worse, a leak on the hot water side of the shower valve can waste significant energy because the water heater must continually operate to warm the water being drawn unnecessarily. One reader whose home was equipped with an electric water heater complained that his leaking shower valve caused his electric bill to triple. Even more concerning is the shower valve that leaks inside the wall. Over time, water dribbling into the wall can cause dry rot, mold, and structural problems that can be both hazardous and very expensive to repair. When water drips or drizzles from a shower head, there is a problem with the shower faucet (valve). In most cases, inner seals are worn, or parts have become corroded or clogged with hard water deposits. And the rubber O-rings and gaskets that seal connections between moving metal parts wear down with time and use. When they do, water squirts or drips out. For more, please see How a Shower Works. If you turn off a shower faucet and the water keeps dribbling out of the shower head, a natural instinct is to crank the handle closed as hard as you can. Unfortunately, this may only make things worse. Be sure the faucet handle is turned all of the way off, but don’t over-tighten it! This may damage the valve. When working on shower faucets, place rags in the tub or shower floor beneath the faucets and over the drain to protect the surfaces and prevent small parts from being dropped down the drain. Before opening up a shower valve, turn off the water supply. In some houses, a shut-off valve is located in the bathroom, near the shower, or in the basement. If you can’t find the shower shut-off valves, turn off the water supply to the entire house. For more about this, see How to Shut Off the Water Supply. If you have to shut off the water to the entire house, plan and organize ahead of time. Read through all of the instructions and have the tools and materials that you’ll need readily on hand to minimize the time your home’s water will be off—and alert your family. After shutting off the house water, faucets and water-using appliances won’t work but each toilet will have one flush. After you’ve turned off the water supply, open the bathroom sink faucet to drain any water from the nearby pipes. There are many types of shower faucet valves. The methods for fixing the leak will depend upon the type of shower valve. 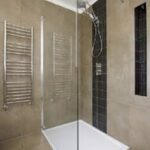 In the articles listed below, you will find step-by-step instructions for fixing the major brands of shower faucets. A shower valve that’s operated by two faucet handles—one hot and one cold—is typically a compression faucet, as discussed in the article How a Compression Faucet Works. Leaks in a compression faucet generally occur when a rubber seal or washer wears out over time, allowing water to seep between movable metal parts. Fixing a compression shower faucet involves disassembling the unit and replacing the defective washers and seals. It’s important to shut off the water supply to the shower, and to protect the surface of the tub or shower floor and cover the drain. Buy a faucet washer kit so you’ll have the necessary replacement O-rings and washers on hand. First, feel the water leaking from the tub spout or shower head. If it’s warm, you know that the leak is coming from the hot-water valve. If the water has been dripping for a while and it is cold, the leak is probably coming from the cold-water valve. 1 Start by removing the faucet handle. Methods for doing this will depend upon the faucet’s design. Older or simply-designed faucets often have an exposed screw front and center or a locking screw in the side. Newer and more decorative models of faucets hide the screw beneath a cover cap. With these, you need to pry off the cover cap to expose the screw. If your faucet handle is the type with a cover cap and there is no obvious method of removal, use a very thin screwdriver or pocketknife to pry the cap off. Be careful not to scratch the finish or damage the material. 3 After removing the handle, remove the trim and the sleeve that fits over the faucet stem. You’ll need a plumber’s deep socket, as shown in the video, to extract the faucet stem from the valve body (you can buy an inexpensive set online). Fit it over the stem’s hex nut and turn it counterclockwise to unscrew the assembly. At first, you may need to apply significant force to break it free. Unscrew the faucet stem and pull it out of the valve body. 4Replace all faucet washers, O-rings, seals, and the flat washer at the end of the stem (remove the screw to replaced the washer). 5 Then reverse the procedures to replace the faucet stem in the valve body. Before you put it in, lubricate the threads with plumber’s grease. Tighten it in the valve body. Temporarily put the handle back on, turn on the water supply, and test the valve. Then finish reassembly. Finally, seal the trim to the wall with tub caulk. 1 Remove the cover cap that hides the screw holding the handle, and then unscrew the handle and pull it off. 2 Remove the two screws that hold escutcheon trim plate in place, and then pull the escutcheon plate away from the wall, exposing the hole in the wall around the valve. 3 Slide off the outside sleeve (sometimes called a “stop tube”) by gripping it and pulling it outward. Then remove the brass bonnet with a pair of locking jaw pliers, turning it counterclockwise. 4 Remove the old cartridge by pulling off the plastic cap, and then gripping and wiggling the cartridge until it’s loose enough to pull off. Feel inside the valve area for any deposits or loose particles, and clean with a rag. 5 Then insert the new cartridge. Note that one side of the cartridge is marked “Hot” and should be positioned on the hot water (normally left) side. Push it firmly in place. If necessary, adjust the rotational limit stop, according to the manufacturer’s directions that come with the replacement cartridge. 6 Put the brass bonnet back on the valve and turn it clockwise to tighten it. Be sure the threads grip properly. Hand-tighten, and then use locking jaw pliers to snug it down. Clean the wall where the escutcheon plate goes, and then put the outer sleeve back on the cartridge and push it into place. Replace the escutcheon plate and handle. 7Turn the water supply back on and, if everything works fine, caulk the perimeter of the escutcheon plate with tub caulk to seal it to the wall. As when working on other types of shower valves, start by shutting off the water supply and protecting the tub and drain with rags. Ideally, your shower plumbing will have a local water supply valve that you can shut off (similar to the valve under a sink) that is accessible through a removable panel. In most cases, there isn’t one of these, so you’ll need to shut off the main valve for the entire house. Open a nearby faucet to empty the shower pipes. Before beginning, please read the information titled “Advice for Fixing Leaky Shower Faucets” above. If your defective shower valve is made by Price Pfister, you’ll be happy to know that they stand behind their products with a strong warranty. If you can prove that you bought their valve after 1997, they will send you free parts. It’s definitely worth a call to their 800 number at 1-800-732-8238. You can also buy a replacement valve on Amazon. 1 Pry the decorative button off of the end of the shower stem to expose the screw that secures the handle assembly. Use a Phillips screwdriver to remove the screw, turning it counterclockwise. Then remove the handle assembly. 2 Next, unscrew the threaded sleeve, turning it counterclockwise, and remove it from the escutcheon trim plate. 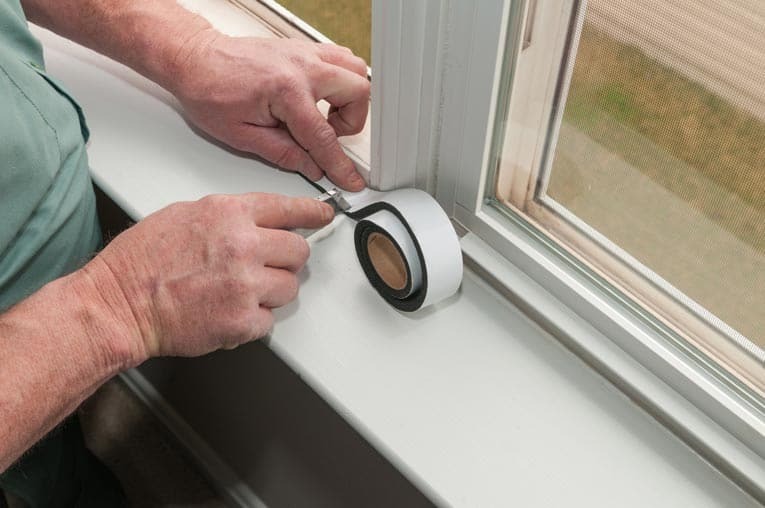 If the escutcheon trim is caulked to the wall, use a sharp knife to cut the seal. Be careful not to scratch the surfaces. Remove the plate from the wall. 3 To remove the cartridge, unscrew the four screws that hold the dogged-eared mounting flange. Again, turn them counterclockwise to remove them. Reach in and pull the plastic cartridge out of the valve. Be sure the rubber O-rings come out with the cartridge. 4 Use a rag and, if necessary, steel wool to clean the inner surfaces of the valve. Then replace the old plastic cartridge with a new one, and replace the threaded piece and the flange. 5 Be sure the rubber gasket will seal properly. Position it so the orientation is properly aligned. Use the metal ring and four screws to secure it. When it’s tight, turn the water supply back on and check for leaks. If you don’t discover any leaks, caulk around the perimeter of the trim and then replace the escutcheon trim and the handle. Here is a really helpful video that shows this process. Before beginning a shower valve replacement, read the information titled “Advice for Fixing Leaky Shower Faucets” above. Shut off the water supply to the shower and protect the surface of the tub or shower floor. Also cover the drain to prevent accidentally dropping small parts down it. Buy a Moen replacement cartridge and have it on hand. 1 Pry off the plastic cover at the top of the control valve, and then remove the screw at the center of the knob, using a Phillips screwdriver. Unscrew the two screws that secure the escutcheon plate and pull the plate off of the wall. Gently pry it with a flat-bladed screwdriver if necessary. Be careful not to scratch the finish. 2 Pull the stop tube straight out, sliding it off of the cartridge. Using a pair of pliers, pull the U-shaped cartridge retainer clip off of the valve body. Slide the small spacer washer off of the shaft and set it aside with the retainer clip. 3 A white plastic nut-like tool should be packaged with the new cartridge. Slip this plastic nut tool over the shaft so it interlocks with the cartridge. Then turn it back and forth with pliers to release the cartridge from the valve body. Remove the nut, and then use pliers to grip the stem of the cartridge and pull it straight out of the valve body. 4 Push the new replacement cartridge straight into the valve body until it seats. Slip the plastic nut tool onto the cartridge and orient the cartridge so that its ears are at the top and bottom of the valve body. Slide the U-shaped retainer clip back into the valve body until it snaps into place. If the retainer clip doesn’t snap into place properly, the cartridge is not seated correctly in the valve body—readjust it with the plastic nut tool. 5 Now turn the water supply back on. Temporarily mount the faucet knob on the shaft. 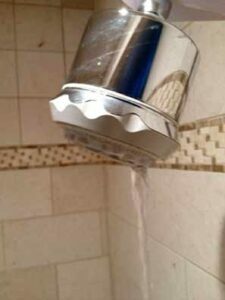 Holding a bucket under the shower head, turn on the hot water to make sure the hot water works. If the water doesn’t get hot, you’ll need to readjust the cartridge with the plastic nut tool and check again until you get hot water. 6 Put the small spacer washer back onto the shaft. Slide the stop tube back onto the valve body. Replace the escutcheon plate and secure it with its two screws, turning them clockwise until snug. Put the plastic knob back on, screw it in place, and secure the cover plate over the screw.